With the bar exam quickly approaching, time is running out and stress levels are probably running high. But that doesn’t mean you’re allowed to veer off course. Remember, the closer you get to the bar exam, the sooner you get to starting your new profession. 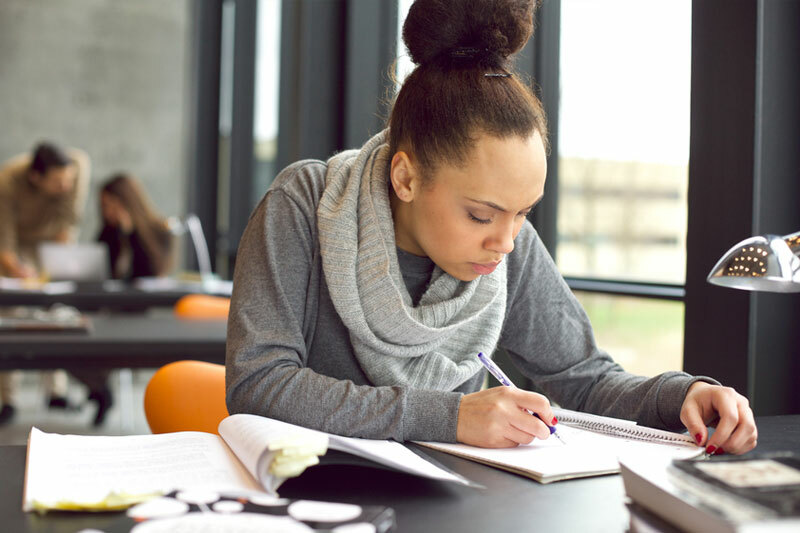 And since there’s only a short time left, here are some last-minute bar exam tips that can help you study the material and make sure you show up energized and prepared on exam day. Though you shouldn’t disregard the information you’re comfortable with, turn your attention toward the material that isn’t sinking in and will most likely appear on the exam. If you're still having difficulty on your own after you’ve tried everything from attending every bar review session, to reading all the required course material and completing each assignment, you may want to consider asking your instructor for extra help. Do not stay up until 3 a.m. studying because it won’t do you any good. The best thing that you can do the night before the bar exam is pack everything you need—laptop, ID, pens, snacks, location directions—and get a good night’s sleep. Then you won’t have to rush in a panic or feel like a lethargic mess in the morning. This is rather obvious, but you'd be surprised how often it's overlooked. Whether you’re using your cell phone or an old-fashioned alarm clock, set it early enough so you can get ready with time to spare. This will not only help you in terms of arriving at your destination long before exam time, but it will also keep your stress levels under control. You have enough to worry about in regards to the bar exam, so adding on any avoidable anxiety as well is just plain foolish. One reason why you pack everything you’ll need for the exam ahead of time is so you can get up in the morning and eat a healthy breakfast before you take the bar. Rather than running around looking for your license—that you could have sworn was in your wallet the last time you checked—you can have a nourishing breakfast to start your day off right. This way, you won’t be thinking about how hungry you are during the bar exam and can focus on answering every question as best you can. The bar exam is only administered in a few cities in each state. For example, in New York, the Uniform Bar Exam is administered in Albany, Saragota, Manhattan, Buffalo and White Plains. So, unless you live near one of these cities, you may have to book a hotel room for a few days. You might also want to consider taking a ride to the exact location beforehand so you know how to get there come exam day. There’s a slim chance that you’re going to know the answer to every single question that appears on the bar exam—it’s not impossible, but it's highly unlikely. Nevertheless, answer them all. Yes, certain questions aren’t graded, but you won’t know which ones fall into that category. So, even if you’re stumped on an MEE question, write something because you’ll only be hurting your chances of passing if you don’t. Find out more ways to handle your bar-exam anxiety, so you’ll be ready for any obstacle you may face.